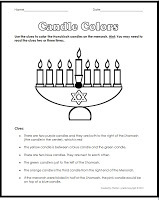 Here is a great project to do with little kids this holiday season. 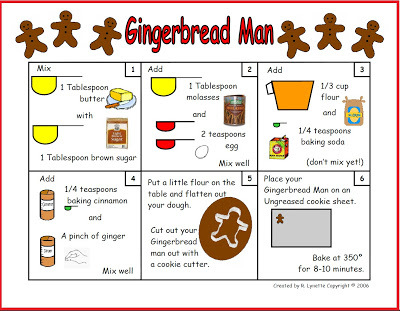 Each recipe makes a single gingerbread man, so this is great if you don’t want to make a bunch. The steps are easy to follow for little people with some adult assistance. If you do this with a group, then give the kids margarine tubs or cereal bowls to mix in and teaspoons to mix with. I have created 10 of these single-serving step-by-step picture recipes. You can get all 10 here. The free preview provides two more recipes and detailed suggestions on how to use them with groups.